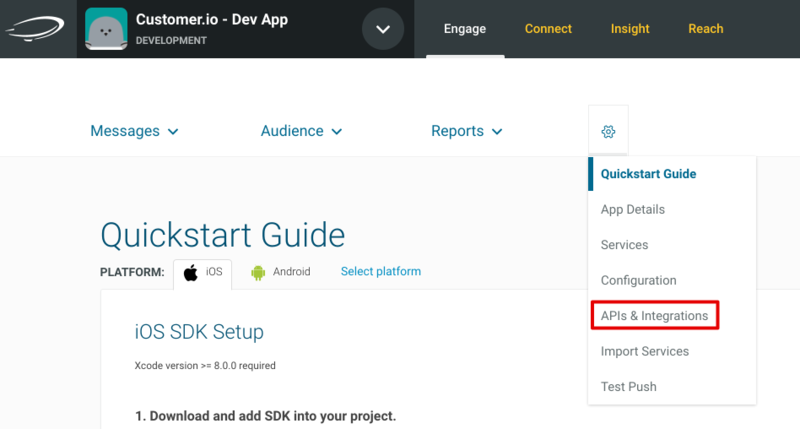 The Urban Airship SDK installed and configured in your mobile app(s). You will have the option to create development apps in Urban airship. Your development and production app credentials will both work with Customer.io. 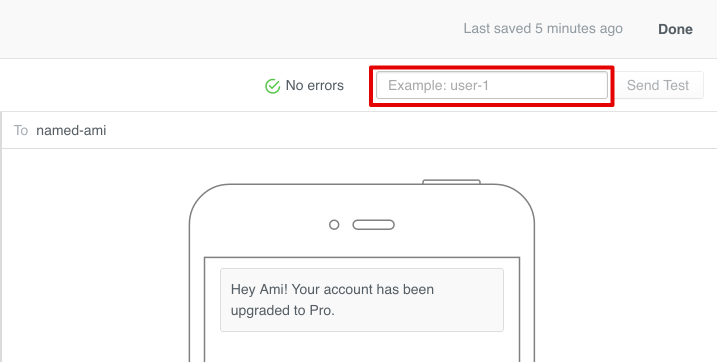 Configure your users to be Urban Airship named users: named users ids are how you will associate your profiles in customer.io with the users in your mobile app and Urban Airship app. See Getting started, part II for more details. 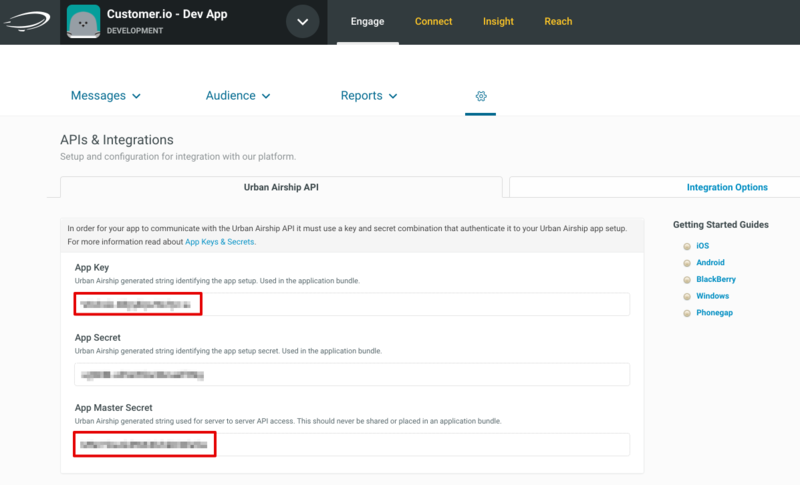 Note: You can configure multiple apps with Urban Airship, so make sure you are using the credentials associated with your production apps. The right data in Customer.io: You need to make sure you’re getting the right data from your users. This is a little more complex, and is explained in detail below. To make sure that you can reach your customers via push notification, you’ll need to make sure that you have the right data in Customer.io. Most importantly, your users in Urban Airship must be associated with a named_user_id. Documentation for creating this association can be found here. If your users do not have a named_user_id created with this association they cannot be messaged. 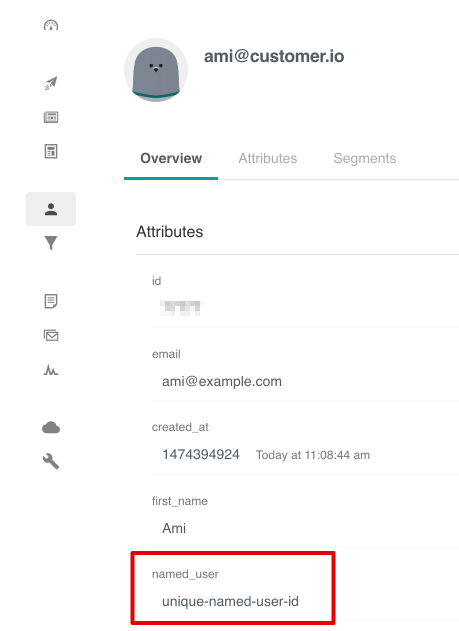 In Customer.io you will need to store the named_user_id you previously defined for your users as an attribute (for example, an attribute called named_user). This id is what we will use as the TO address for your push notifications. It is useful to think of a Named User as an individual consumer who might have more than one mobile device registered with your app. For example, Named User "john_doe_123” might have a personal Android phone and an iPad, on both of which he has opted in for push notifications. If you want to reach John on both devices, associate the Channel (device) identifiers for each device to the Named User "john_doe_123,” and push to the Named User. Notifications will then fan out to each associated device. This allows you to consistently message a user regardless of whether they switch devices and prevents you from having to manage individual device ids between Urban Airship and Customer.io. 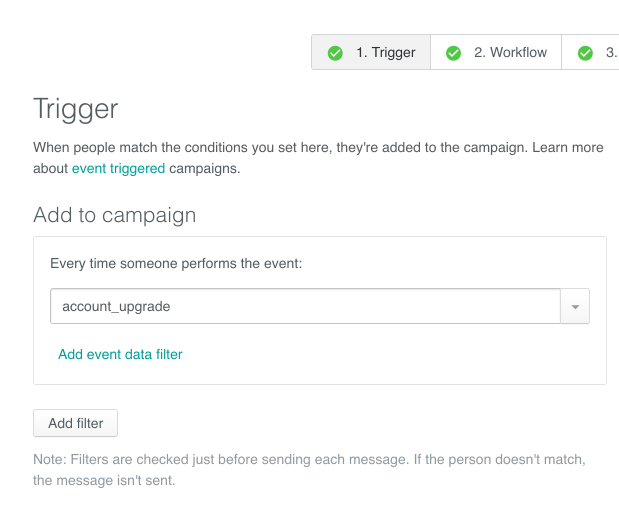 You're finally ready to create your campaign, and start sending your push notifications! If you want to add an A/B test, now's the time! Just click the Add A/B test button on the workflow item, or see more detailed instructions here! 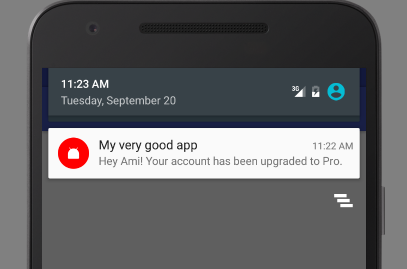 Next, click Add Content to open the SMS composer and set up your push notification message. The "To:" field: The named_user_id that the message is headed to; defined earlier. The message Body: This is where your message's content goes. Note: You can use Liquid here to send to specify a a different attribute if you've stored your named_user_id with a different name during setup. Just make sure you have the right attributes for that user. You can see this in action in our example below, or click here to learn more about Liquid in Customer.io. To make sure your push notification works, you can send a test message by entering a named_user_id in the test box (shown in the screenshot below), and clicking "Send Test”. This will send a real Push, so make sure you're sending the test to yourself (or a test account)! Once sent, Customer.io will show you the response from Urban Airship, and you should see Test sent. The push notification should then appear on your phone (or whichever device you chose to send it to)! We have a separate guide for tracking your sent push notifications. 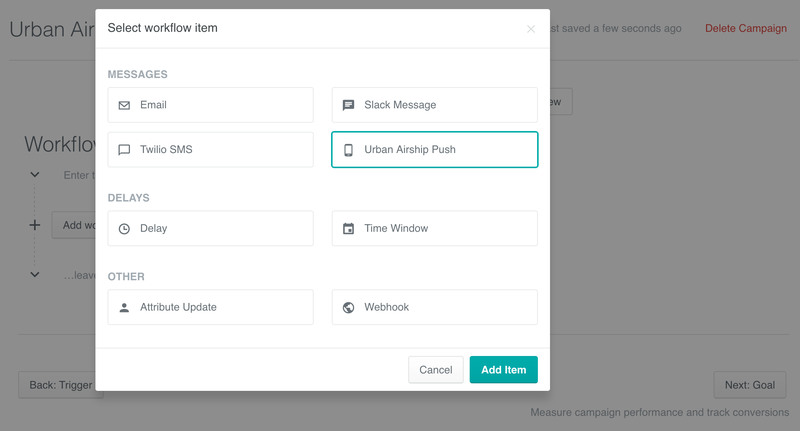 We’re excited to hear how you end up using Urban Airship with Customer.io Actions. If you have questions, feel free to have a look at the FAQ, or let us know! We're happy to help.